It might not be New York or Berlin, but Rome has its party scene. Romans go out late and the fun only really commences after dinner. 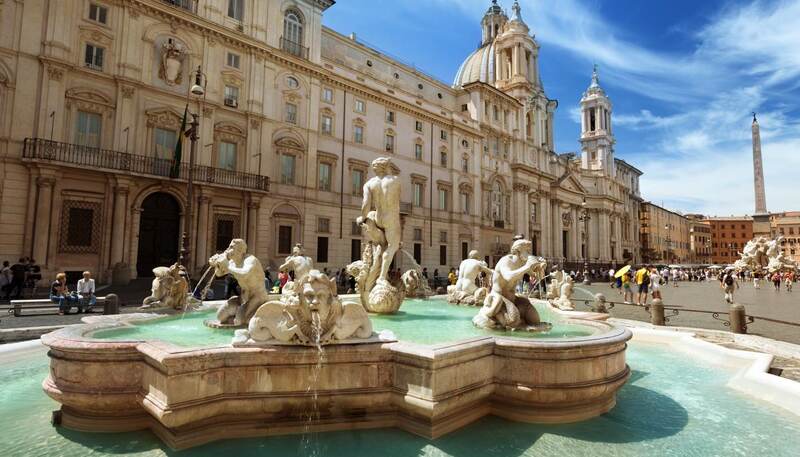 The wine bars and cafés around Piazza Navona and Via della Pace tend to be the chicest. The biggest concentration of nightclubs in Rome lies in the Testaccio and Ostiense districts. There's a small gay scene too. The Pigneto district, a 15-minute tram ride east of Termini station, is where fashionable restaurants and cafes serve artistic, creative locals. On the cultural side, the city has high-profile and innovative international performing arts festivals, a cutting-edge auditorium that attracts international talent, and RomaEstate – a full programme of summer events. Box Office Lazio (tel: +39 6 482 7915; www.boxofficelazio.it) provides tickets for concerts, theatre and sporting events, as does Viva Ticket (www.helloticket.it). Cul de Sac has been plying its trade since 1977 and its loyal local following often spills out onto the lively Piazza Pasquino. Among simple wooden tables and benches, thirsty visitors will find a glass to suit every budget from an extensive menu of more than 1,500 wines. Telephone: +39 6 6880 1094. Housed in a former Trastevere car workshop, Freni e Frizioni (which translates to Brakes and Clutches) is one of the coolest hangouts in Rome. In fine weather, spritz sipping crowds spill out onto a piazza near the Lungotevere. It's open all day and is a great brunch spot. Telephone: +39 6 45 49 74 99. A hidden gem in a basement in the upscale Prati district, this modern owner-run bar provides creative cocktails and other drinks at reasonable prices, as well as a short food menu. The welcoming and lively atmosphere ensures many repeat visitors. Telephone: +39 6 6880 4963. Black Out hosts live performances by rock bands, as well as heavy metal, punk, indie and electro nights. Other shows have included tributes to David Bowie, The Red Hot Chili Peppers and Pink Floyd. The venue has two rooms - one large, and one small, plus four bars and an outdoor garden. Telephone: +39 6 978 418 80. Completely surrounded by a forest, this club takes place above the Olympic stadium in winter (Chalet) and outdoors in summer (Bosco delle Fragole). Music in this spectacular location ranges from house and commercial hits to chill out. Expect acrobats and dancers too. Telephone: +39 6 323 6086. Some of Europe's best DJs play alongside homegrown talent at Goa, which is located in the post-industrial landscape of the up-and-coming Ostiense quarter. House, jungle and techno music predominate amid a worn theatrical world of wood, wrought iron and rocking horses. The crowd is urbane so dress accordingly. Telephone: +39 6 574 8277. Rome's state-of-the-art auditorium features three space-age halls with remarkable acoustics and a large outdoor amphitheatre used for concerts and events. 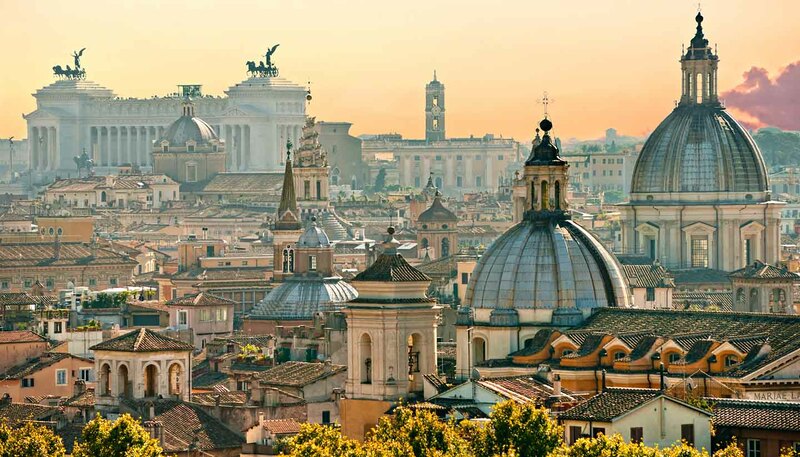 Everything from pop and jazz to dance and symphonic orchestras are hosted here, and the venue is the official home of Rome's prestigious classical music academy, Accademia Nazionale di Santa Cecilia. Telephone: +39 6 8024 1281. The Casa del Jazz is housed in the former 1920s villa of a Mafia boss, seized by the council. Spread over three-storeys, the complex includes a 150-seat auditorium, a café and restaurant, and is the place to come for internationally renowned jazz acts. Telephone: +39 6 704 731. You'll usually find more locals than tourists crammed into this tiny bar and live music venue in the historical neighbourhood of San Lorenzo, at the edge of Rome's city centre. Original performances by local and international musicians take place almost every night; check the website for listings. Genres range from house to rock.